No timetable set for his departure. 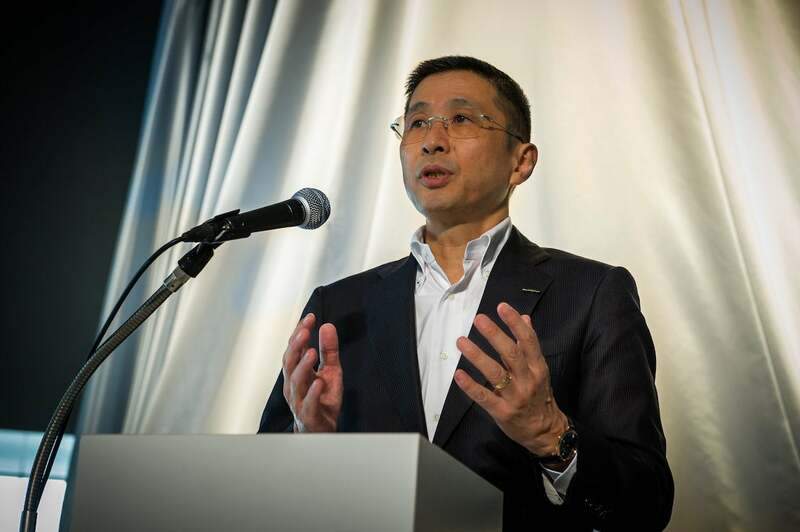 Nissan CEO Hiroto Saikawa plans to resign in the near future to ease the tensions between Renault and Nissan. Nissan CEO Hiroto Saikawa plans to step down from his post now that Carlos Ghosn has resigned as chairman and CEO of Renault. The move is designed to make the transition into the next phase of the partnership between Nissan and Renault easier. Ghosn, who has been in jail on financial corruption charges, resigned two days ago after the French government began to apply pressure to Renault’s governing board to replace him. In the wake of his arrest last November, Ghosn was fired from his position as chairman of Nissan and Mitsubishi. 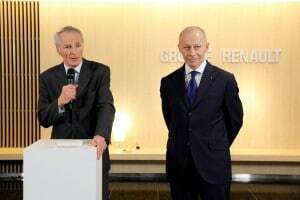 Saikawa, a former Ghosn protégé, is thought to have played a critical role in bringing the charges leveled against Ghosn to authorities, hoping to use the case to leverage greater autonomy from Renault, as TheDetroitBureau.com previously reported. The French company holds a controlling 43.4% stake in its alliance partner and has been exploring the idea of merging the two manufacturers entirely. He is apparently ready to leave after he finished tackling his primary task, which was to change the governance of the alliance, which left Nissan powerless to affect any real change. There is no timetable on his departure. Ghosn has maintained his innocence from the beginning, accused of multiple crimes, including concealing as much as $88 million in income. But he could stand to earn millions more as a result of his decision to voluntarily resign from Renault, according a Bloomberg report. 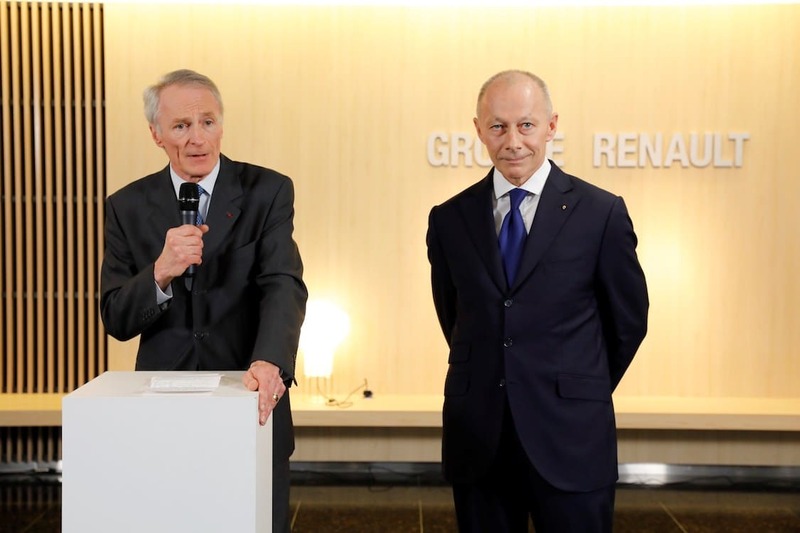 New Renault Chairman Jean-Dominique Senard discusses the next steps for the Alliance in the wake of the resignation of Carlos Ghosn. Separately, Japanese prosecutors, now taking heat for the way they have handled the case, are defending the decision to retain Ghosn at the Tokyo Detention Center, resisting repeated efforts to have him released on bail. Ghosn’s resignation and the almost immediate appointment of Jean-Dominique Senard as the new chairman, and Thierry Bollore, a long-time lieutenant of Ghosn’s, reflects the likelihood the 64-year-old executive won’t be released anytime soon. In the meantime, Saikawa and Senard, who he told reporters is “someone I respect fully,” will need to move forward. That may not be as simple as it seems. The two automakers may have competing ideas about what is best for the alliance. There has been talk of a merger of the three automakers – Mitsubishi was added in 2017 – but Saikawa said now was not the time to discuss a full merger. He has been against further integration of the automakers. Renault owns 43% of Nissan with voting rights. France owns a 15% stake in Renault and has extra voting power, which gives the government an indirect say in decisions that sometimes affect Nissan. Nissan has a 15% non-voting stake in Renault. This entry was posted on Friday, January 25th, 2019 at and is filed under Asia Pacific, Automakers, Automobiles, Business, Europe, Executives, Lawsuits/Legal, Markets, Mitsubishi, Nissan, Personalities, Renault. You can follow any responses to this entry through the RSS 2.0 feed. Both comments and pings are currently closed. I considér this CEO IS a false whistleblower. Using the horrific Japanese systèm of ‘Justice’. 2 monthes in sevère jail, no one pièce of élément or document of proof. Abd update from Tony Alam ! There’s something rotten in Denmark, or, in this case, Japan. As stated before, CEO Saikawa planned this “coup” in order to perhaps break Nissan away from Renault / French control. And in a roundabout way, end a possible Mitsu-merger as well. “…hoping to use the case to leverage greater autonomy from Renault…” I never would have thought of arresting the CEO of the company that has the power to hire and fire all of your board members as a viable method of convincing them to disregard the authority they already have over you. Am I missing something? It gets complicated, as is said. We are still trying to figure it all out.